John Knight Shields, Tennessee’s senior United States senator, had first been elected in 1913. Shields had served for a decade on the Tennessee Supreme Court before becoming the last man to be elected to the U. S. Senate by the state legislature. 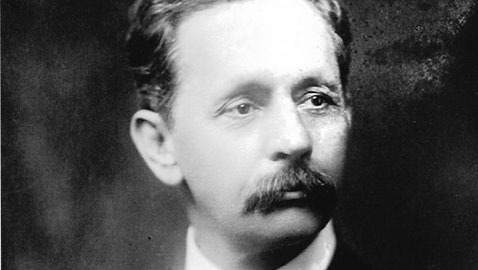 Shields had been reelected in 1918, defeating Tom C. Rye, who had been governor of Tennessee during World War I. Shields was a slight man with a sensitive face dominated by a bristly moustache. Senator Shields might have been slight, but he possessed a big streak of cantankerousness. Rye ran as an all-out supporter of President Woodrow Wilson. Wilson was highly popular in Tennessee and Shields had also pledged his support to the President. After the election, Senator Shields made tens of thousands of Tennesseans livid when he refused to support American entry into the League of Nations through the Treaty of Versailles. Shields had incensed many Tennesseans by supporting reservations to the treaty sponsored by Senator Henry Cabot Lodge of Massachusetts, a Republican. Tennessee’s junior senator, Kenneth D. McKellar, was an ardent supporter of the League. McKellar deeply admired Woodrow Wilson, perhaps as much as John Knight Shields disliked the President. Shields was not a good speaker during an age when many of the most successful politicians in the country excelled at stump speaking. It was McKellar who likely saved John Knight Shields from defeat in 1918. Shields had telephoned Senator McKellar to say he had heard rumblings President Wilson intended to write a letter for publication denouncing him; a letter written by the President stating Shields was no friend to him or his administration almost certainly would have ended the Tennessean’s political career. When Senator McKellar visited the White House and asked Wilson about the letter, the President readily confirmed he was going to write a letter stating John Knight Shields was unfriendly to him. McKellar begged, cajoled, and pleaded with the President not to write the letter. McKellar never got a direct commitment from Wilson, but the President did not write the letter. McKellar believed Shields would support the President and was utterly astonished after the election when John Knight Shields barked the President and presidential secretary Joe Tumulty could go straight to hell. A combine of “Independent” Democrats and Republicans had first elected John Knight Shields to the U. S. Senate in 1913; the “fusionists” in Tennessee had already elected Tennessee’s other U. S. senator, as well as the governor. Plainspoken, Senator Shields was a frequently difficult man who oftentimes could not get along with his own appointees. As stubborn and curmudgeonly as he was, there was little doubt John Knight Shields would seek a third term in 1924, yet few believed he would not draw a serious challenger for the Democratic nomination. In fact, he drew two formidable challengers inside the Democratic primary: General Lawrence D. Tyson and Nathan L. Bachman. All three candidates were from East Tennessee. Shields lived on a gentleman’s farm, “Clinchdale,” near Bean Station. General Tyson was from Knoxville and his stately home still sits on the site of the University of Tennessee. Nathan L. Bachman was from Chattanooga, living in a grand home on Signal Mountain. Lawrence D. Tyson was a very successful businessman and quite wealthy, but he was universally known as “General” Tyson. As the only Tennessean to have achieved the rank of general during World War I, L. D. Tyson won the immediate respect of thousands of Tennesseans and was venerated by many veterans. Having graduated from West Point, few could dispute Tyson’s military credentials and the future general had actively participated in the wars against the Apaches in the West and their leader, Geronimo, as a young Lieutenant. The original source of Tyson’s wealth was his wife, Bettie McGhee, the daughter of Charles McClung McGhee. McGhee was the president of a railroad, as well as prominently involved in several other business enterprises. It was Tyson’s father-in-law who helped secure for him an appointment in 1901 as professor of military science and tactics at the University of Tennessee. McGhee’s reasoning was quite simple; by having Tyson teach at UT, it brought his daughter and grandchildren closer to home. L. D. Tyson used his time teaching at the University of Tennessee to better himself, earning a law degree. Tyson left the faculty of the university in 1895 to practice law. Tyson served as a colonel during the Spanish-American War and returned home to Tennessee as a brigadier-general. When the United States entered the First World War, Lawrence D. Tyson eagerly sought to renew his military commission. President Woodrow Wilson complied, giving the fifty year-old Tyson the opportunity to serve. Tyson commanded the “Old Hickory Division” and he and his troops were the first to enter Belgium during the summer of 1918. Tyson’s division fought bravely, helping to capture, along with British troops, much of the Hindenberg Line in the area. Nine men in Tyson’s Fifty-Ninth Brigade were awarded the Medal of Honor, while the general himself was the recipient of the Distinguished Service Medal. After the war, L. D. Tyson came home to Knoxville to supervise his many business interests, which included owning textile mills and coal companies. Tyson sat on the Board of Directors of two Knoxville banks and anticipating his bid for the United States Senate, bought the Knoxville Sentinel. The General still had his military bearing and his white hair and neatly trimmed moustache gave him the air of a statesman. Nathan Lynn Bachman was evidently a man almost impossible to dislike. An amiable man who had practiced law in Chattanooga since 1903, Bachman had been a Circuit Court judge for six years before winning election to the Tennessee Supreme Court. Bachman had resigned his position as an associate justice of the state Supreme Court to run for the United States Senate. Nathan Bachman apparently had a bottomless well of amusing stories and was a noted raconteur. Judge Bachman was one of those rare men who made friends by the score wherever he went. At the time, it was unusual for campaigns to last much longer than a couple of months. In 1924, the aspirants for the United States Senate in Tennessee were moving around the state well before the first of the year. There was ample reason for Senator John Knight Shields to be concerned. Many Tennesseans had not forgotten his refusal to support President Wilson. Democrats in Carroll County met in convention and heartily endorsed the administration of Governor Austin Peay; at the same time, they voted to condemn the record of Senator John Knight Shields. Democrats in Carroll County sought to endorse the candidacy of L. D. Tyson, which not surprisingly met with resistance from the supporters of Judge Bachman. A compromise was reached, omitting an endorsement of any senatorial candidate, but the resolution condemning Senator Shields’ record was adopted. John H. Clarke, a former justice of the U. S. Supreme Court and the president of the League of Nations, spoke in Asheville, North Carolina and called for the defeat of Senator John Knight Shields. It was potent evidence that supporters of the League and President Wilson had not forgotten John K. Shields. Clarke worried that with two strong candidates opposing the senator, Shields might squeeze through the Democratic primary and win reelection to the Senate. “One of the two candidates opposing him should retire and make the defeat of the present Senator possible,” Clarke thundered. The former justice said if neither Tyson nor Bachman could agree as to which of them should drop out of the race, they should draw lots. Quite likely Senator Shields believed having two opponents for the Democratic nomination made it much easier for him to win the primary election. Both Tyson and Bachman had already opened their statewide headquarters before March of 1924; Senator Shields announced the opening of his own headquarters in the Hermitage Hotel the first week of March. The 1924 campaign for the United States Senate had begun early in Tennessee and it promised to be a hot fight between three well-qualified candidates. It would be a long, hot summer in Tennessee.